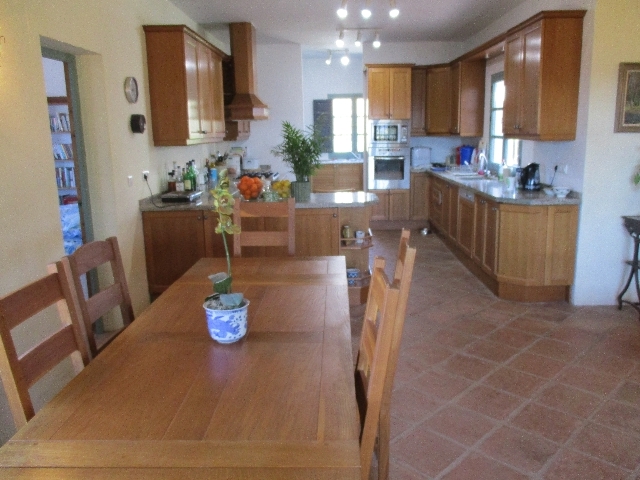 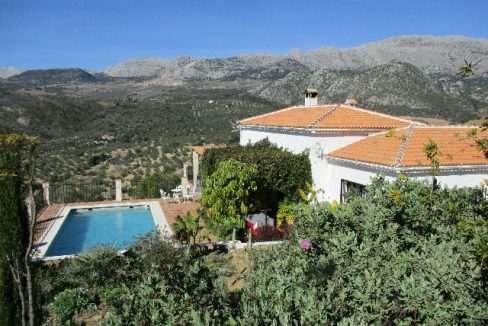 An amazing and rare opportunity to purchase a stunning larger than average villa which is set over two levels and comes with many unusual features. 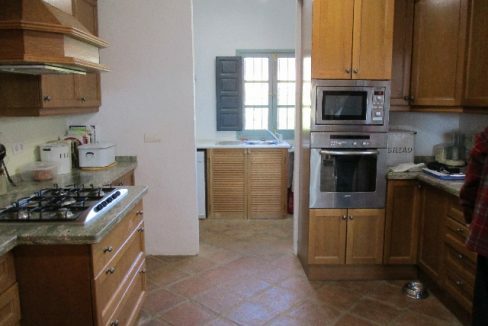 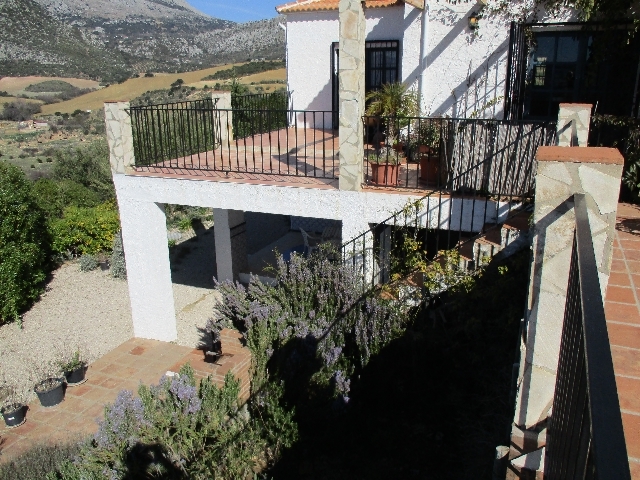 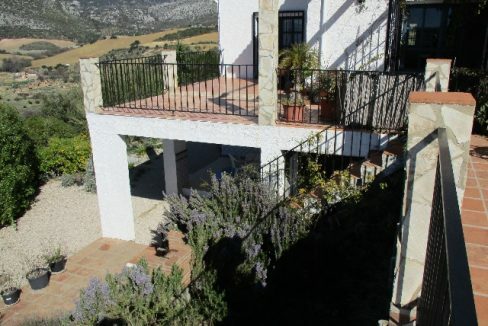 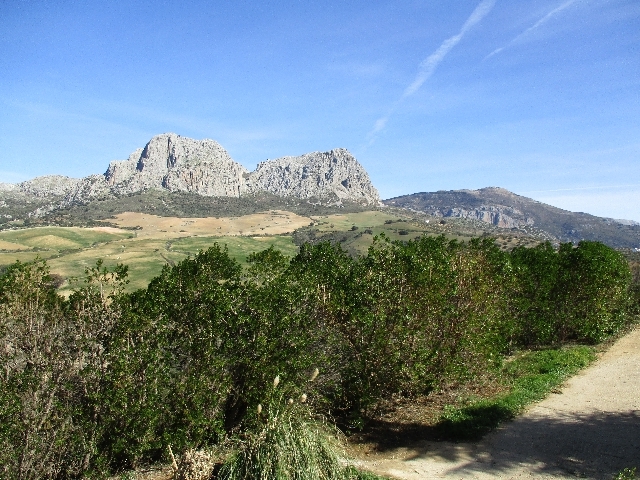 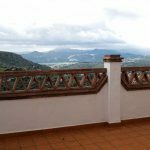 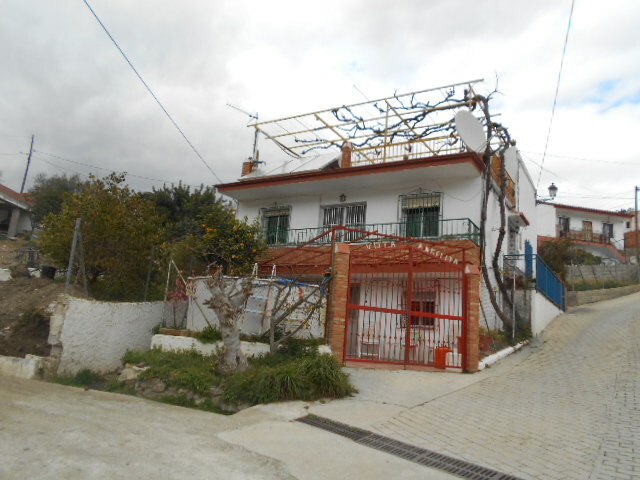 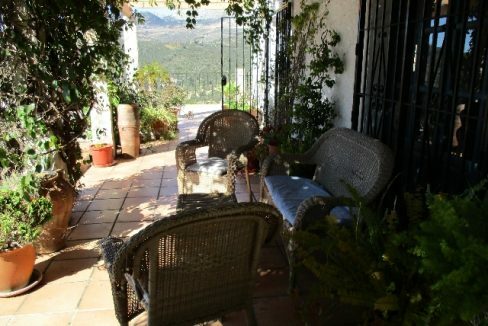 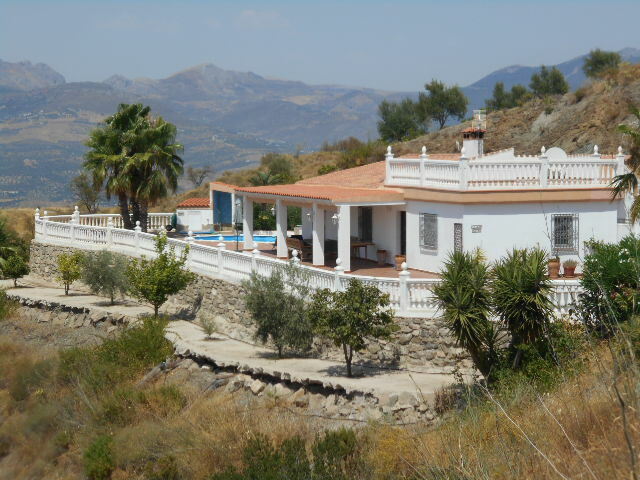 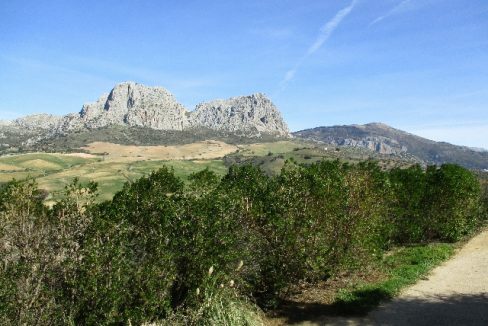 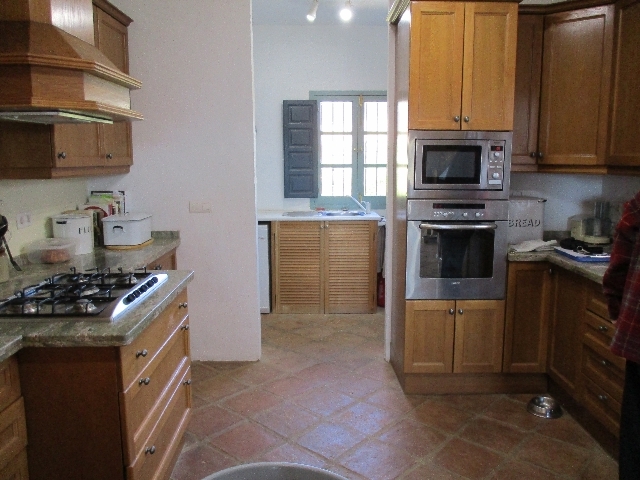 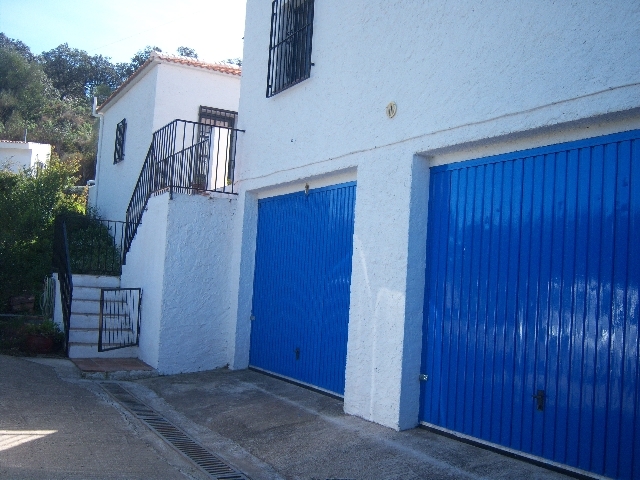 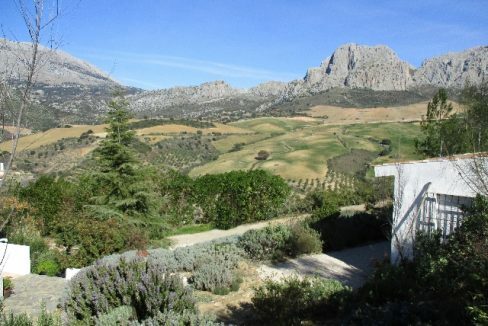 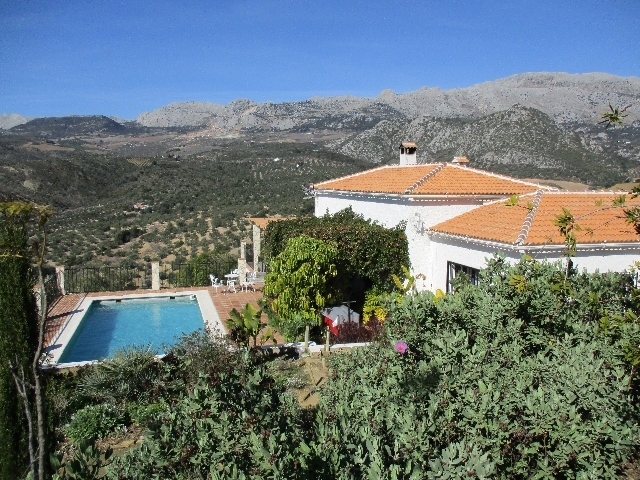 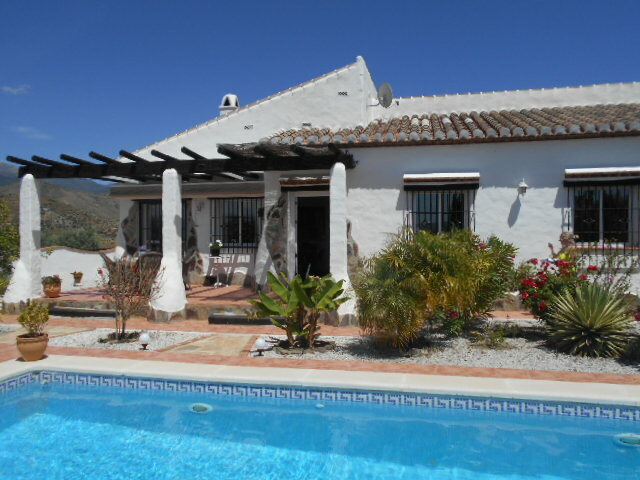 Access to the property is via a well maintained concrete track and is 10 minutes drive to the whitewashed village of Riogordo. 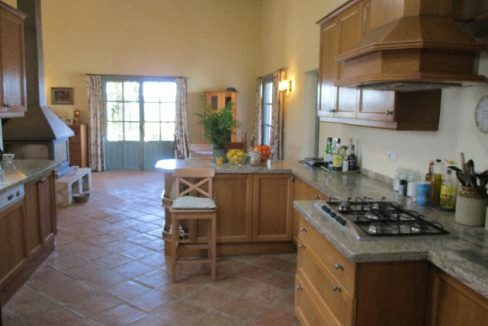 Entrance to the villa is via a large covered terrace area, and leads into the large open plan vaulted ceiling living and dining room with the centre feature being a floor to ceiling fireplace log burner. 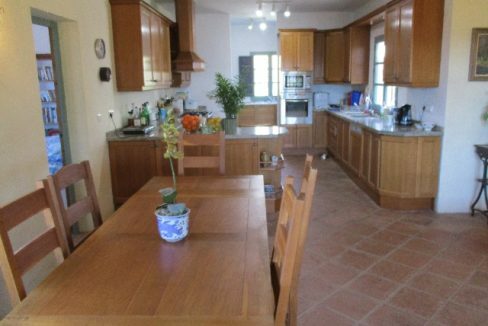 Off the dining area is a fully fitted kitchen with a selection of wall and floor units, microwave, fitted oven, 5 ring gas hob, dishwasher and fridge/freezer, from here you access the utility and laundry room and large walk in pantry. 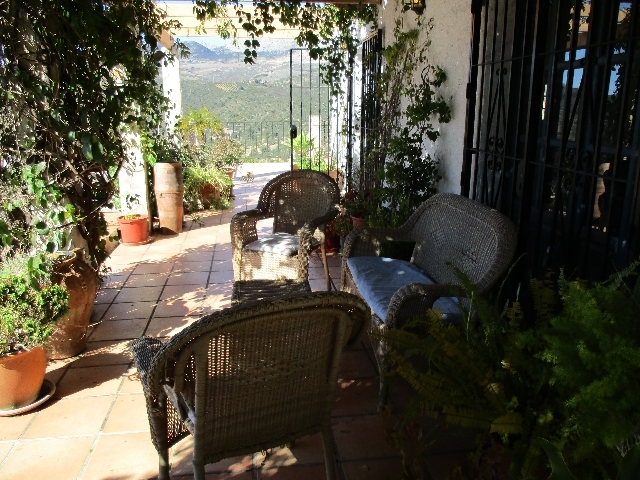 There is a side door to the outside terrace. 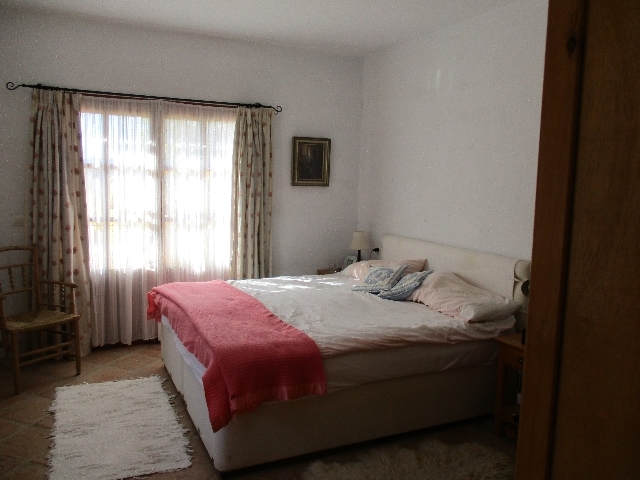 Off the lounge is access to 3 Double bedrooms all with a selection of fitted and floor standing wardrobes and en-suite facilities complete with their own private terraces. 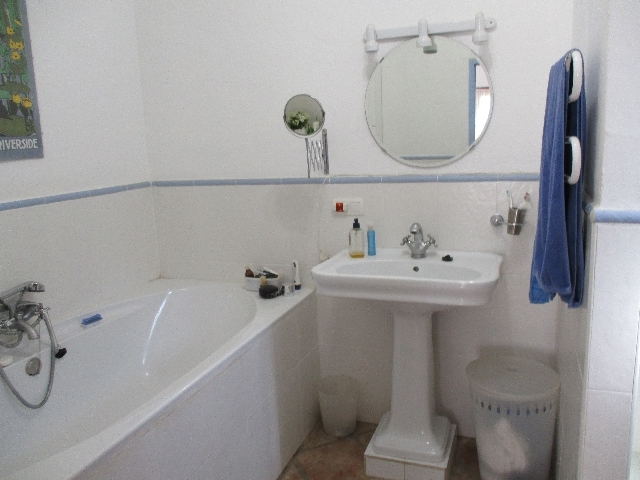 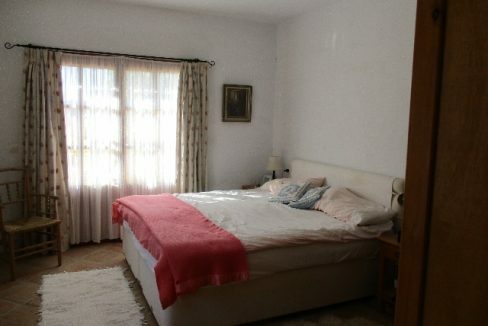 The master bedroom also benefits from air-con whilst the large en-suite has a bath with shower over and separate shower. 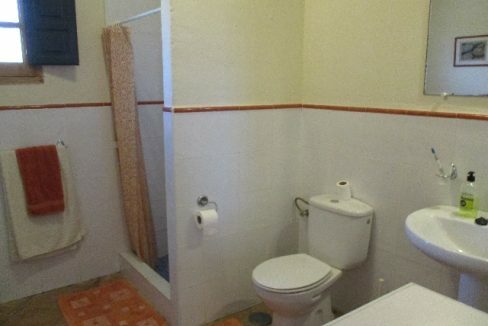 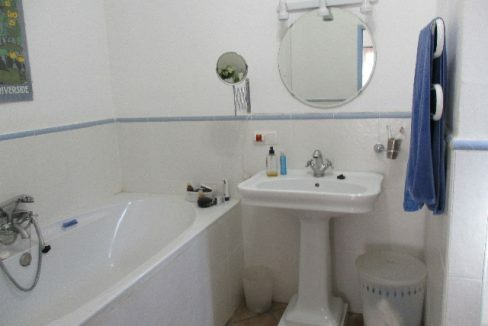 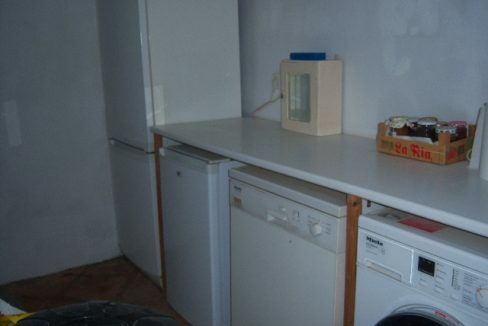 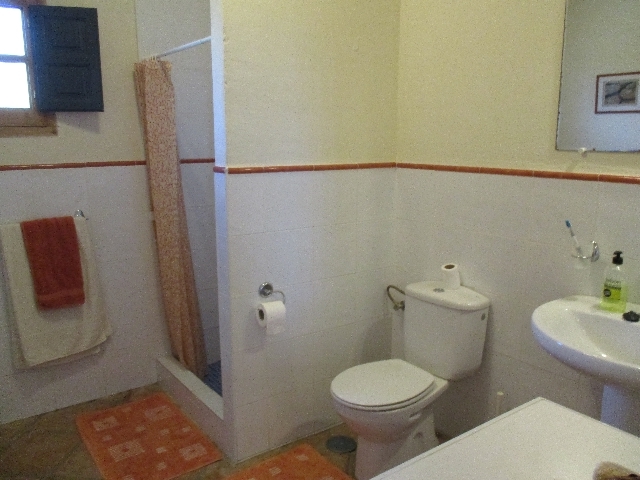 The remaining en-suites both have fitted showers. 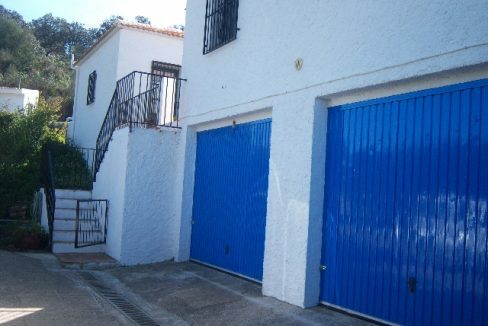 On the lower level you have two garages, a large workshop and two separate store rooms. 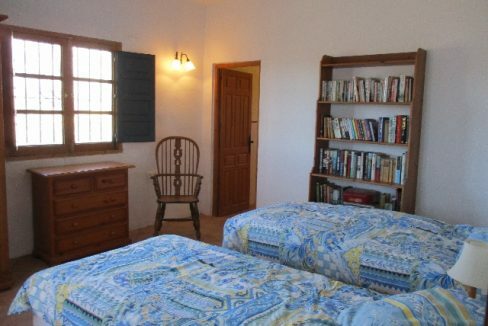 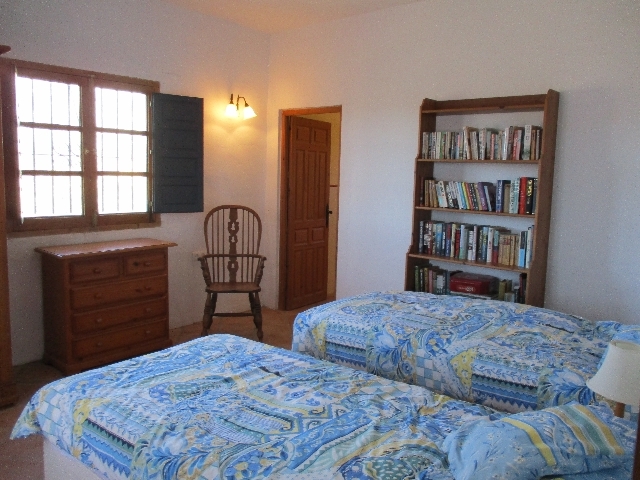 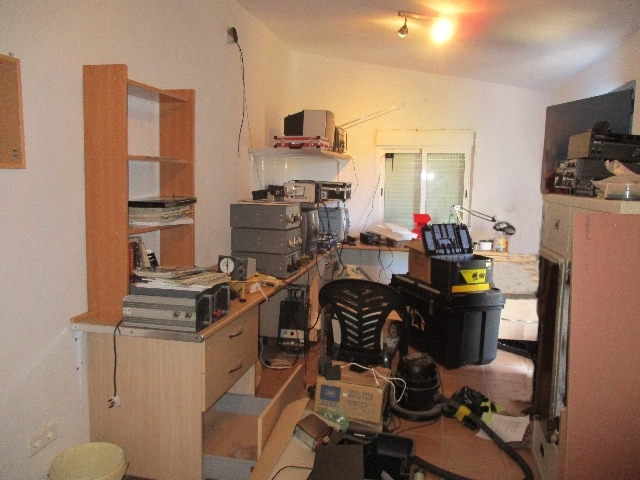 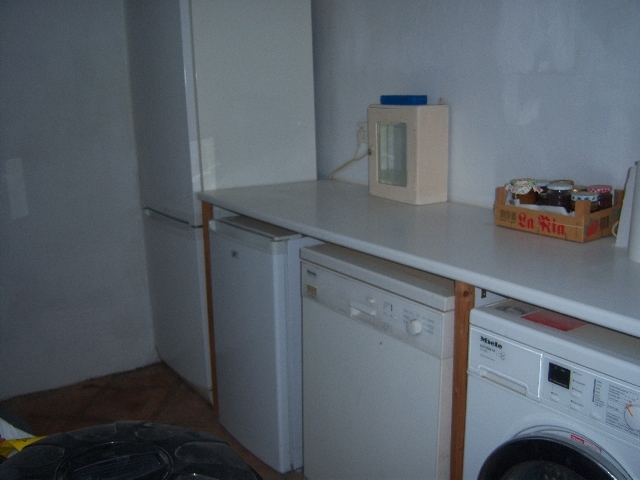 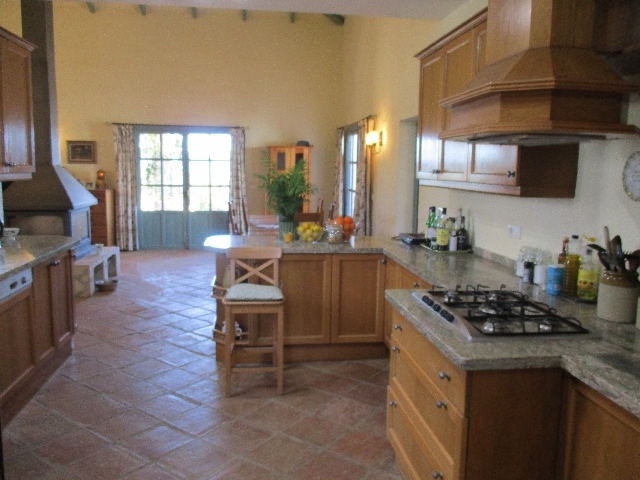 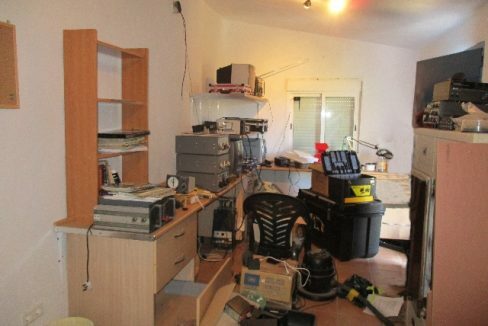 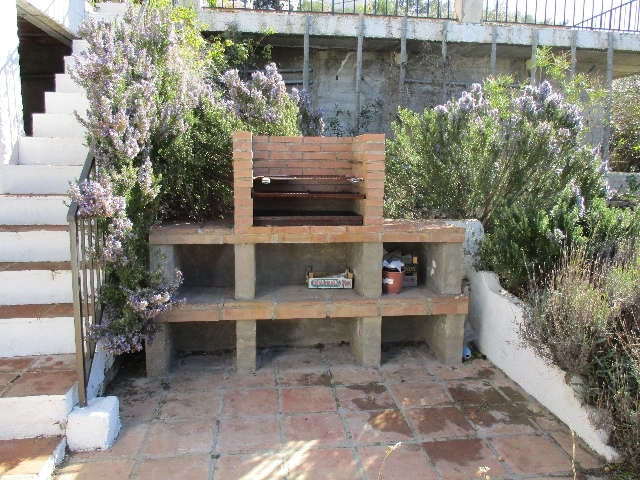 The property also has a separate casita which is currently being used as a studio / office. 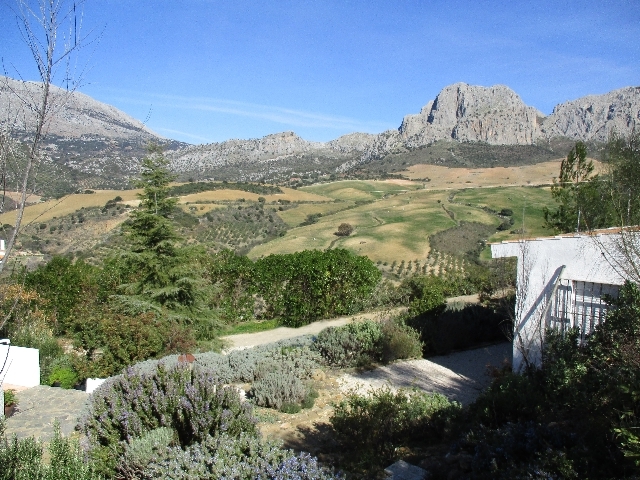 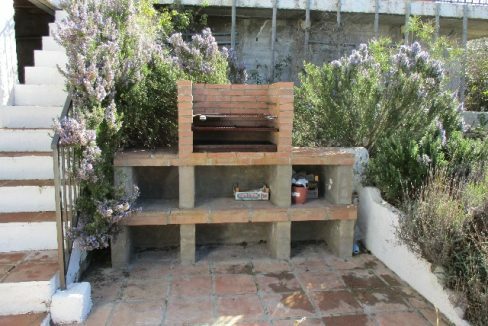 The outside of the property has been beautifully landscaped to include many Mediterranean pots, plants and trees including Fruit Trees, pistachios and a vegetable plot, because of the style and type of plants this garden requires no irrigation.